How to describe Waswo X. Waswo and his work? Kavita Singh perhaps does it best. An excerpt of the catalogue essay for Waswo’s exhibition in Gallery Espace in 2012. Go to http://www.mattersofart.net/feature-details.aspx?mpgid=3&pgid=3&fid=21 for the full essay. Twelve years ago, the American photographer and poet Richard John Waswo moved to India. Two years after the move, he renamed himself to signal the change in his life: eliminating his Christian names, he replaced them with a doubled surname. There were two Waswos now, hinged upon an enigmatic X. Did the X mean Waswo has been multiplied by Waswo, to yield a self-generated clone? Or did it signal a Waswo who was formerly Waswo (a Waswo ex Waswo)? The riddle posed by his name was confounded by the fact that the new person seemed to be an iteration of the old: both old and new selves were, after all, only Waswo. In an irony that Waswo had probably not anticipated at the time, his new name condensed within itself the issue that was to bedevil the next decade of his life. Much as he would struggle to reinvent himself, he would never fully be able to slough off his skin; and even as he was able to alter some of his own habits and lifeways, he was not always able to counter the attitudes and biases of others towards himself. 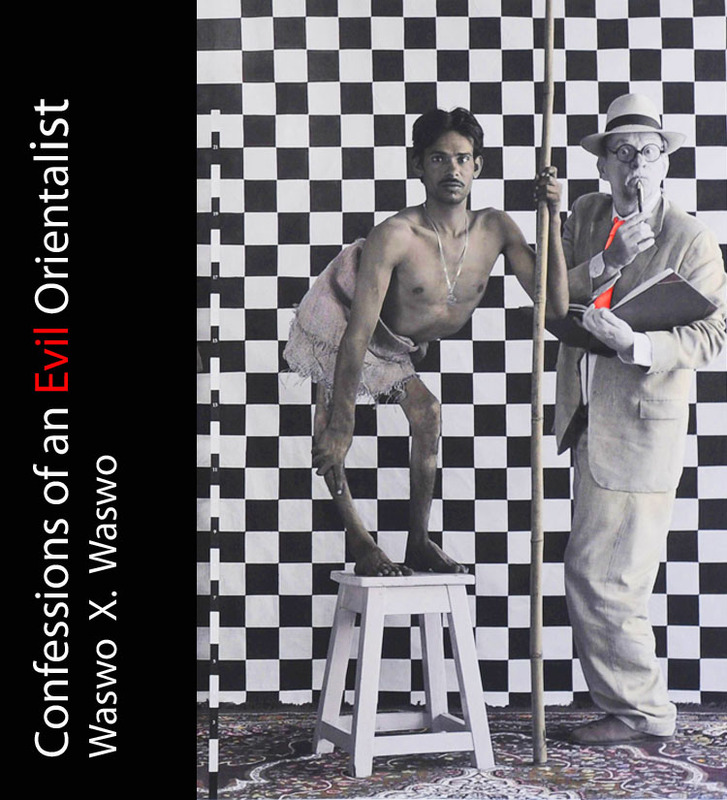 Waswo X Waswo’s exhibition “Confessions of an Evil Orientalist” will be presented by Pondy ART on the Beach Road of Pondicherry, India. Opening 5 p.m Saturday 9 November. The ARTIST will discuss his work on Sunday 10 November at 6:30 pm at Kasha Ki Aasha, 23 rue Surcouf Pondicherry. Both events are open and free to the ublic. Another great artist! How do you get them together! Keep up the great work Kasha! !